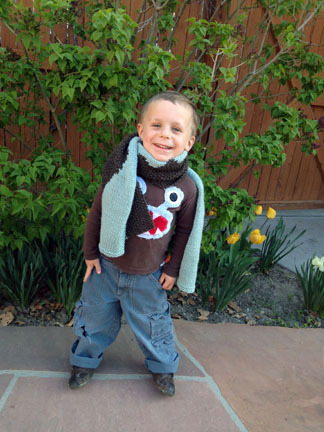 Here is the finished scarf just in time for my sister’s birthday. It was epic and took quite a while to do, but I like it. I was recuperating from illness last week and had a lot of time on my hands and this was the perfect time-filler. 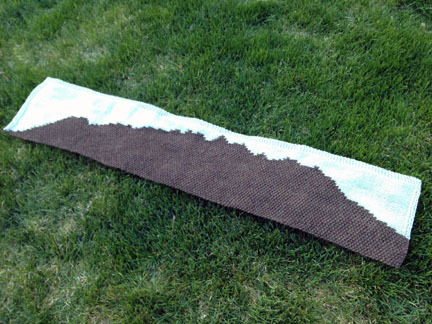 I am not sure if anyone else would want to do a mountain scarf like this, especially of a mountain that does not have the same emotional connection as this does to me or my sister. 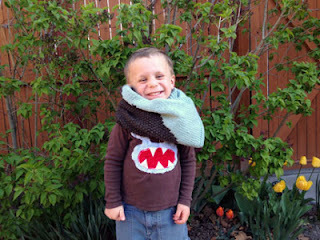 But, I made a pattern anyway and it is on my pattern page. That is my youngest as the cutest model ever. It took a bit to get him smiling instead of crying but he was a trooper in the end.